The electrically operated mechanical compaction proces eliminates the tedious hand compaction process and results in a considerable saving of time. Two rammers with two different stroke lengths are provided. 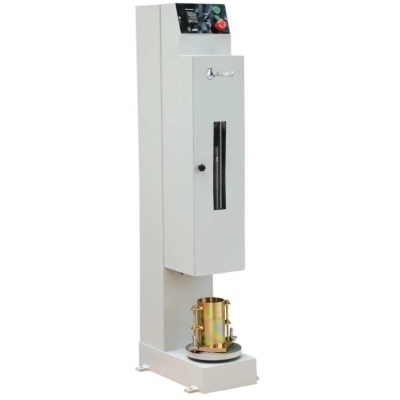 This makes the apparatus suitable to carry out all the normal compaction operations required in soil testing laboratories. Rammer - circular faced 50mm diameter adjustable to 2.6kg or 4.9kg weight. Drop - adjustable to 310mm or 450mm.